We're Inspired By Our small part in making the world a better place. 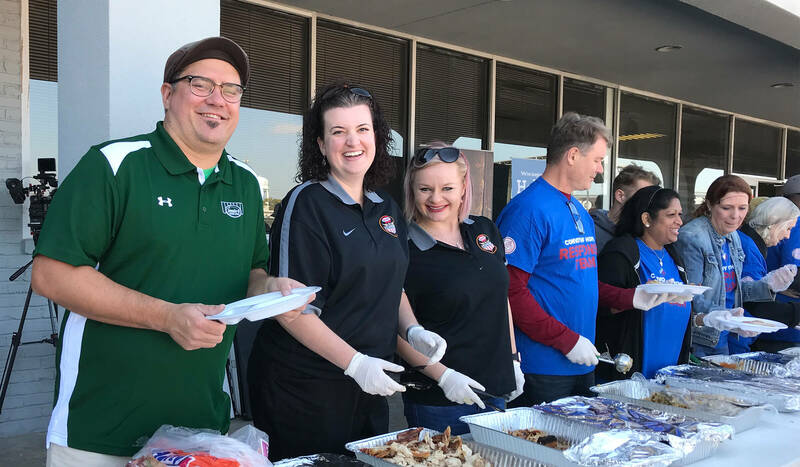 With the aroma of turkey, ham and all the fixings in the air, and music playing in the background, volunteers served a holiday meal for more than 1,000 people affected by Hurricane Harvey at Celebration of Life Church in Baytown, Texas. 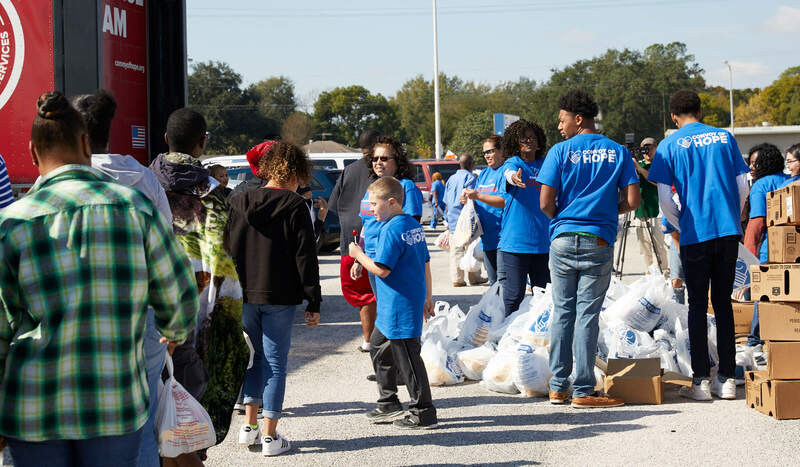 When Hormel Foods learned about the holiday meal that was being planned, the company donated over 700 Hormel® Cure 81® hams and its Jennie-O Turkey Store subsidiary donated over 700 turkeys. Convoy of Hope helped prepare the meal and distributed the remainder of the hams and turkeys to attendees to take home and to other churches in the area to help with their holiday meals. 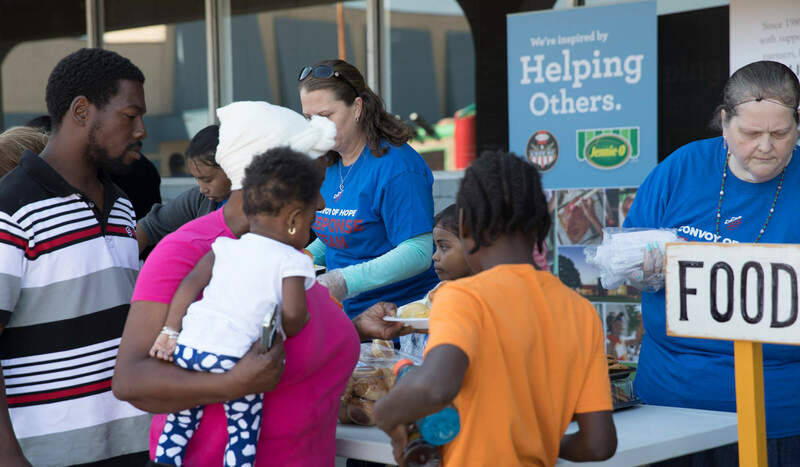 Hormel Foods provides food donations to organizations such as Feeding America and Convoy of Hope for hunger-relief efforts. The company has been a supporter of Feeding America since the 1970s and began working with Convoy of Hope around four years ago. 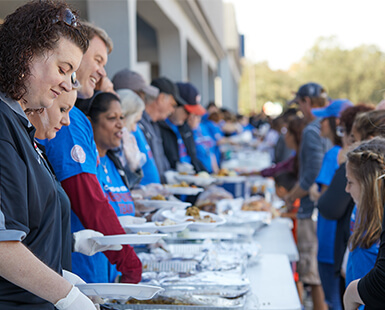 In the beginning of the partnership with Convoy of Hope, the company helped support its events in communities across the country to provide groceries and other services such as haircuts and dental screenings. The partnership quickly expanded to include disaster-relief efforts. In early 2017, Hormel Foods helped stock Convoy of Hope’s warehouse with shelf-stable protein products that could be deployed quickly to help with disaster-response efforts. Convoy of Hope responded to Hurricane Harvey Aug. 25 and began distributing much-needed protein and other supplies immediately. It has been a busy year for the organization, which has also responded to the natural disasters in Florida, Puerto Rico, Mexico and California. 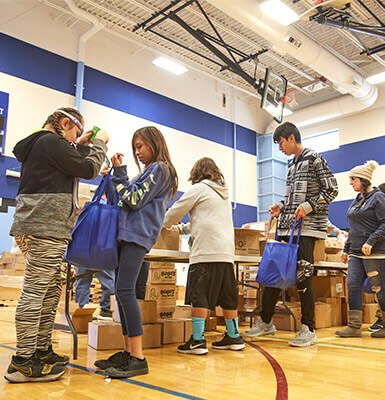 To provide additional support, the company’s Applegate and CytoSport subsidiaries also donated products, and Hormel Foods provided a monetary donation. Mandisa, an American gospel and contemporary Christian recording artist and former “American Idol” contestant, performed at the event. Hormel Foods employees helped serve the meal. 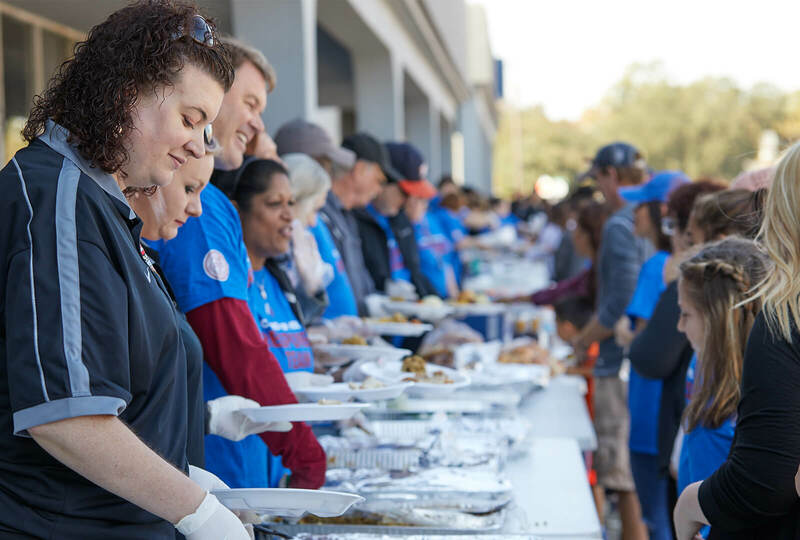 A meal was provided for 1,000 people affected by Hurricane Harvey. Groceries were distributed at the event. 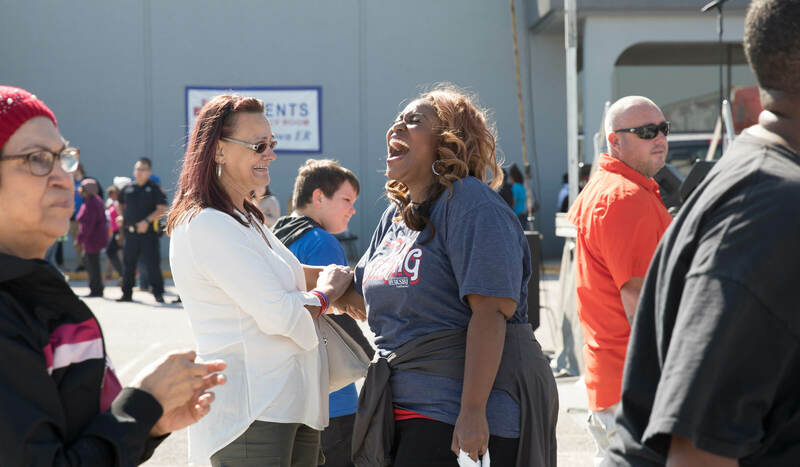 In addition to the meal, there were activities for kids and musical performances – even one from Mandisa, an American gospel and contemporary Christian recording artist and former “American Idol” contestant. According to Postma, who helped serve the meal, attendees were extremely grateful, and it was nothing but a steady stream of smiles through the receiving line. 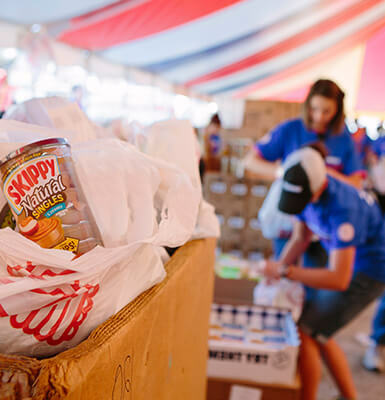 Hormel Foods is committed to doing its part to help others and is in the process of making another donation to help stock Convoy of Hope’s warehouse for additional disaster-relief efforts. Information about the company’s philanthropic efforts can be found in the Corporate Responsibility Report. On April 15, 2019, Hormel Foods Corporation completed the sale of the CytoSport business to PepsiCo, Inc. The transaction included the Muscle Milk® and Evolve® brands. For more information on CytoSport and its brands, please visit www.pepsico.com.